A dissertation is one of the most intimidating writing projects for many students. The selection of a compelling topic, extensive research and development process, days of writing and demanding citation guidelines associated with a dissertation evokes feelings of dread, especially for inexperienced writers. However, a dissertation is one of the most critical projects of your college career, and a subpar dissertation can put a black mark on an otherwise exemplary academic experience. The professional writers at Essay Mama are here to help with our expert dissertation writing services. Dissertation writing requires tremendous involvement, constant commitment and excellent writing. Our team of certified expert writers specializes in all of the above, and is standing by to provide you with the assistance you need. We deliver dissertations that show insight and profound understanding of a given topic to impress professors and amaze any admissions office. 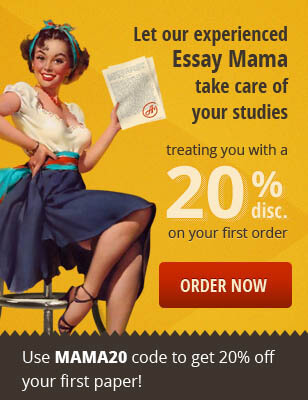 If you need a dissertation that shows your true potential to your institution, Essay Mama is the only place to turn. There is no great company without great employees, and Essay Mama is no exception. Where other similar services try to pass off underqualified amateurs or cheap, nearly unreadable foreign labor as professional writing, we employ only highly certified writing professionals who must pass a rigorous examination before working with any of our clients. They consistently deliver essays that put the competition to shame, and do so with a quicker turnaround time than many other essay writing services. Our writing team only delivers high-quality original content, as anything less is a waste of your time, our time and your professor's time. Dissertation writing isn't like writing just another essay. Dissertations must contain thousands of words of highly relevant content inspired by intense critical thinking on a given subject. The high standards of quality, research and citation involved with composing a dissertation leaves many students staring at a woefully unfinished project for days as they struggle to complete a passable first draft. Dissertations are also frequently on boring or obscure topics, making the pressure to deliver an outstanding paper on the subject nearly unbearable. At Essay Mama, our professional writers make a career out of composing quality dissertations and other essays, and know exactly what it takes to craft a standout dissertation on virtually any topic. All research for your dissertation is performed at the time of your order. Your dissertation is composed from scratch by an expert in the relevant field and your essay is specially crafted to simulate your writing style for maximum verisimilitude. While educational institutions make little to no mention of dissertation writing services in their codes of conduct, plagiarism is prohibited universally at schools and by law. Our dissertations are never plagiarized and created from your perspective, giving you the ultimate peace of mind when using our services. Essay Mama will never reveal your information to any third party, and our advanced encryption removes your personal information from our database at the completion of your project. All Essay Mama dissertations are written individual client specifications and we guarantee your confidentiality. Your dissertation is one of the most crucial components of your college career. An excellent dissertation opens a world of opportunity while one that is lacking may severely hinder your academic and career prospects. Due to the schedules of college students, not everyone has the time to research and prepare the quality of dissertation that they are capable of. At Essay Mama, we have that time and look forward to using it to create the perfect dissertation for you.